Check us out in the latest Highlands College CYQ newsletter – great write up! We completed the Great North Run! On 16th September 2012, Terri & Dan completed the Great North Run Half Marathon in aid of the RNLI. They finished the race together in a time or 1 hour 41 mins, which was a course personal best for Terri. This was Dan’s first half-marathon. The following video is a compilation of video and photos which Terri and Dan took before, during and after the run, and some photos and footage from various sources, including some video shot by a Red Arrows pilot during their pass-by on the Tyne Bridge . Terri and Dan would like to express their thanks to everyone for their support and also to everyone who donated to this worthwhile cause. Terri and Dan are thrilled to be running the Great North Run half-marathon from Newcastle to South Shields in September 2012 to raise money for the RNLI. It is the biggest half-marathon in the world, having developed from a race which saw 10,000 finish in 1981 to this year’s event which will see 55,000 runners taking part. Terri took up running in 2006 as a result of a New Year’s resolution to get fit after a non-sporting life since leaving school. Running soon became a big part of her life and in the following six years, she has completed in numerous races over 5 km, 10 km and the half-marathon distance as well as five full marathons – two in Jersey, two in London and one in Madeira. 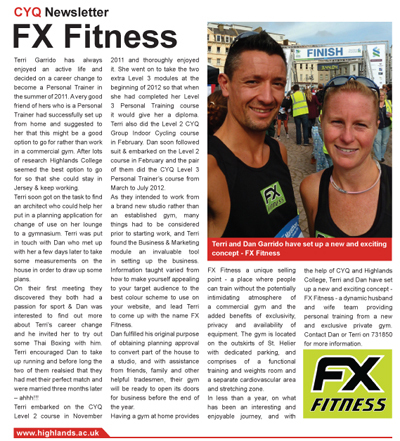 Dan has run sporadically until he met Terri in 2011, and she encouraged him to progress his running. Under Terri’s coaching, Dan’s running improved leaps and bounds. He has since joined Jersey Spartan Athletics Club and now runs competitively in both local, inter-insular and UK races over shorter distances. Terri persuaded Dan to run the Great North Run half-marathon due to her previous positive experiences running this race. They decided to run the race together and at the same time raise money for a worthwhile charity with local relevance, and due to Terri’s past experiences with the Jersey Long Distance Swimming Club and having prior knowledge of the good work that the RNLI do in local and national waters, it was an easy choice to pledge support the RNLI.